So, this is something that is really embarrassing for me to talk about….but I know if I was struggling with it there are other women out there too just like I was. I had major incontinence issues after my kids were born. Any time I would do a high impact activity such as a workout that included a lot of jumping, or even coughing too hard, I would accidentally pee my pants a little (really embarrassing to write that out). The sad thing is, I thought this was totally normal! Many of my mom friends had the same issue, so I assumed that it was just something I had to accept post childbirth. I had basically accepted that I was going to have to wear a maxi pad any time I wanted to do sprints or jumping jacks. It was so bad, that I even completely peed my pants on camera one time while I was filming some workouts. I made light of the situation and laughed about it afterwards, but deep down I was so embarrassed! 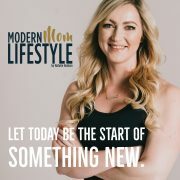 It wasn’t until I learned these exercises from Dr. Monique Middlekauff (Exercise and Movement Science) that it improved and got better. 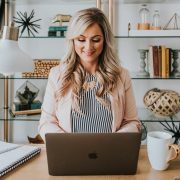 I don’t have issues with accidental leaks anymore, and that is exactly why I decided to partner with her to make this program because I know how many women are just like I was. Pelvic floor strength training decreases symptoms of incontinence in 83% of women! I think this program is going to help so many women, and I’ve never been more proud of any other ebook I’ve ever put out. I can’t wait to hear how much it helped you! How long are the workouts and how many days per week? 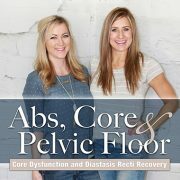 Hi Natalie, I purchased the abs core and pelvic floor package last Wednesday the 17th and I think I don’t put in my email address properly as I dint get any emails. 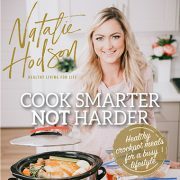 Please email us at contact@nataliehodson.com (with your first/last name, and the email used, as well as the correct email) and we will get that sorted out. Hi I am interested in this as I have bladder problems and haven’t lost my baby buldge after 3 years post childbirth. I was wondering it doesn’t state what all comes with the package and have heard you get charged monthly. All I want is the workouts. And is that in DVD format?